Enjoy all the fun as a Deloris Van Cartier goes into hiding at a convent and learns a few lessons along the way. This Broadway version of the popular movie starring Whoopie Goldberg is being performed in the capital by the Wellington Musical Theatre. 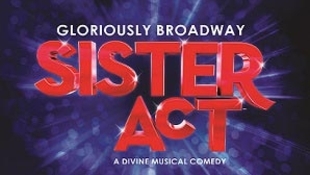 After seeing her boyfriend commit a murder Deloris is sent into witness protection at a nearby convent where the disco diva takes on the convent's choir and transforms them, learning a few lessons herself from the nuns along the way. This story is bound to leave the audience feeling good.